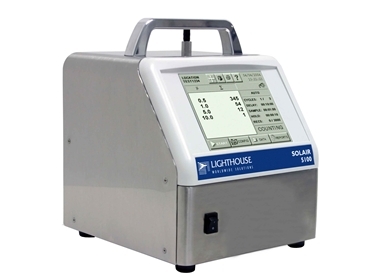 Incorporating the latest in laser optical particle counting technology, Lighthouse designed REMOTE 5100 airborne particle counter, now available from Particle & Surface Sciences , is designed for continuous trouble-free operation. With a sensitivity of 0.5 micron at a flow rate of 1.0 CFM (28.3 LPM), the REMOTE 5100 airborne particle counter provides continuous real time data collection at a cost-effective price per point. Using an external vacuum source, this compact particle counter provides versatile mounting options and can be installed where space is at a premium. The REMOTE 5100 particle counter integrates seamlessly into large facility monitoring and management systems and transfers up to 2 channels of simultaneous particle count data using Pulse Output.